Our Nurturing Yoga classes begin with guided breathwork to bring focus to your practice as a way of quieting and calming the mind-body. These breathwork practices offer the ability to relax physically, mentally and emotionally...essential to your health & well-being. The Hatha Yoga based classes offer Vinyasa "breath-synchronized movement" where the teacher will instruct you to move from one pose to the next on an inhale or an exhale. This Vinyasa Flow is meditative movement of asanas (poses) and breathwork smoothly flowing as if like a dance with restorative rest in Savasana, at the end of each session. Classes offered support beginners through intermediate levels in a mindful practice Nurturing the Balance of Mind, Body, & Spirit. Studio Etiquette... Bring your own mat and blanket/towel, favorite bolster to Yoga. Loaner mats are limited and subject to availability. Wear comfortable flexible layers & bare feet to class. 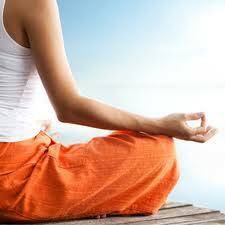 Yoga is best practiced with an empty stomach & bladder. Be mindful of others... Do not bring cell phones. Please refrain from wearing perfume. Fragrance, cigarette smoke & body odor can be overwhelming to others. Please arrive a few minutes early to class. Enter the studio quietly. NO OUTDOOR SHOES OR HEELED SHOES ARE ALLOWED ON ANY STUDIO FLOOR! Kindly remove your shoes at our entrance before stepping onto the floors bare feet or socks are preferred and appreciated by all! Results will be seen after 3-6 weeks of consistent practice. Make a visit to our studio part of your health & wellness strategy!